Traditional Home kindly features Unconventional & Unexpected in their October 2014 edition. 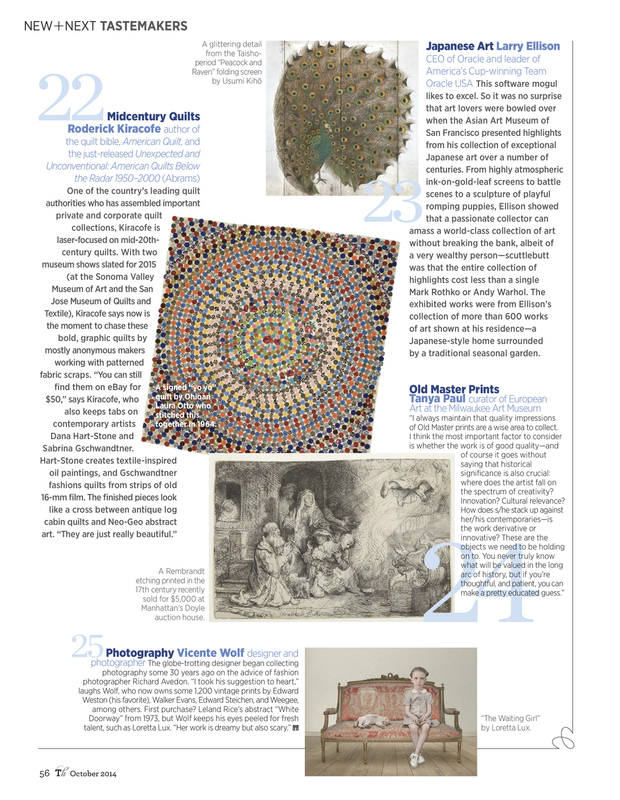 They featured my yo-yo quilt by Laura Otto that pops beautifully. I'm excited that they too see that.